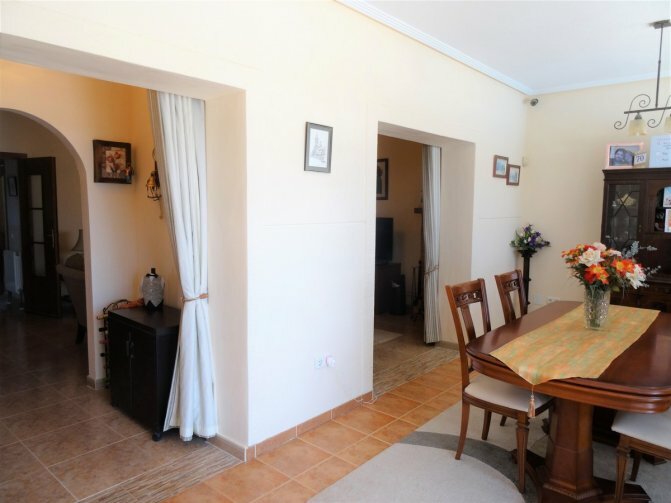 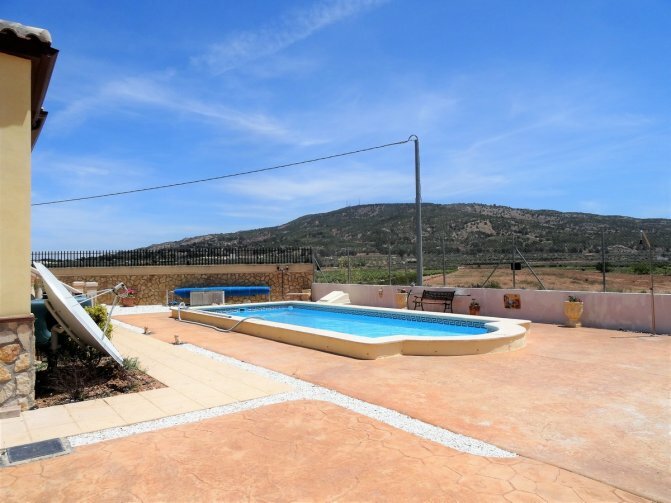 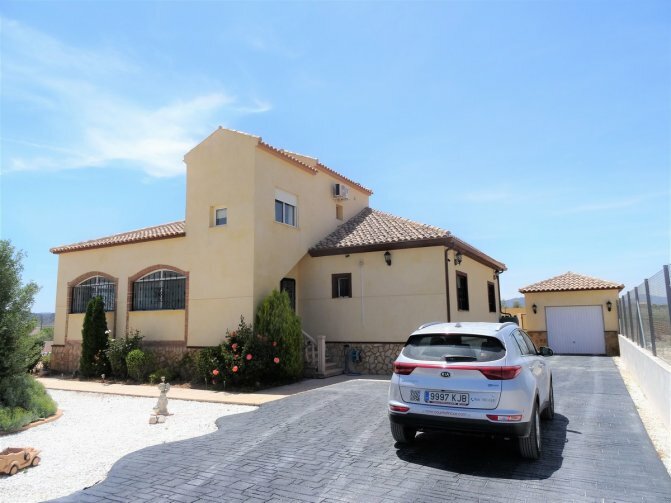 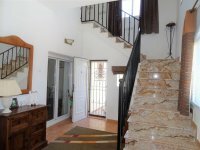 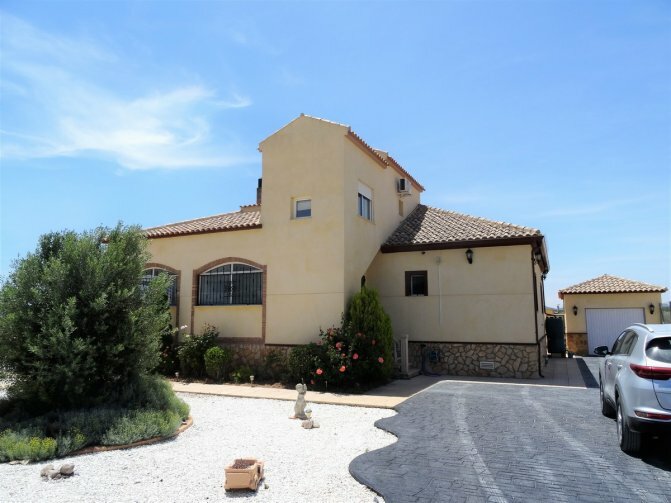 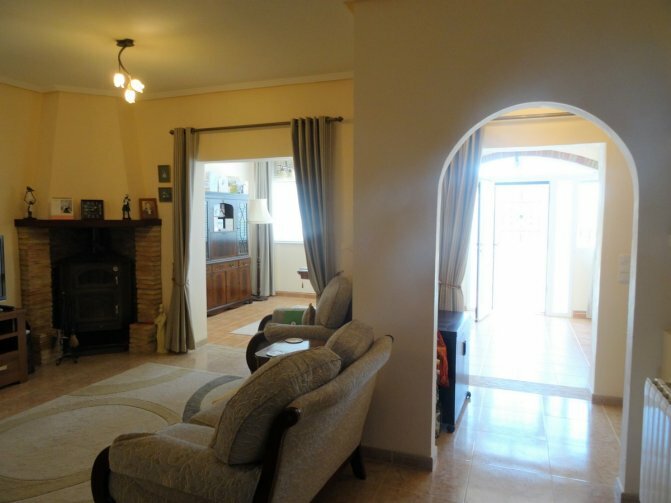 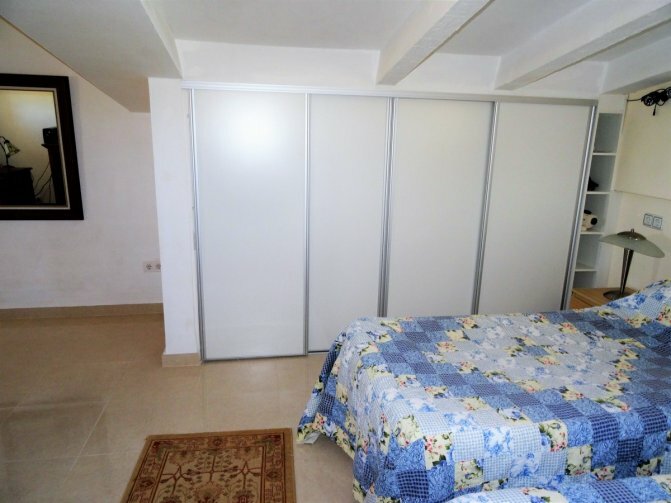 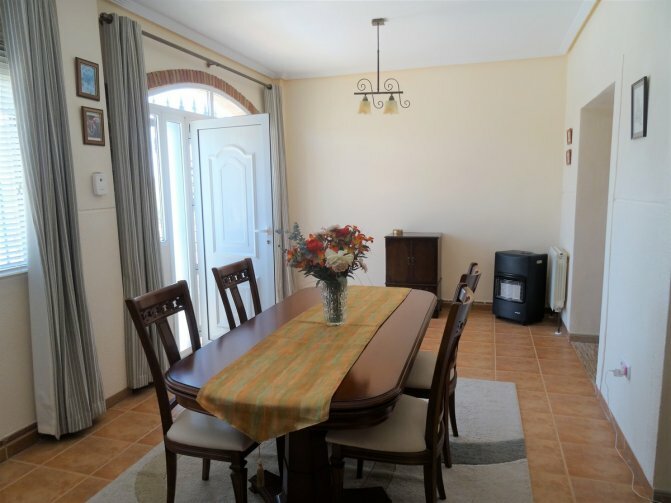 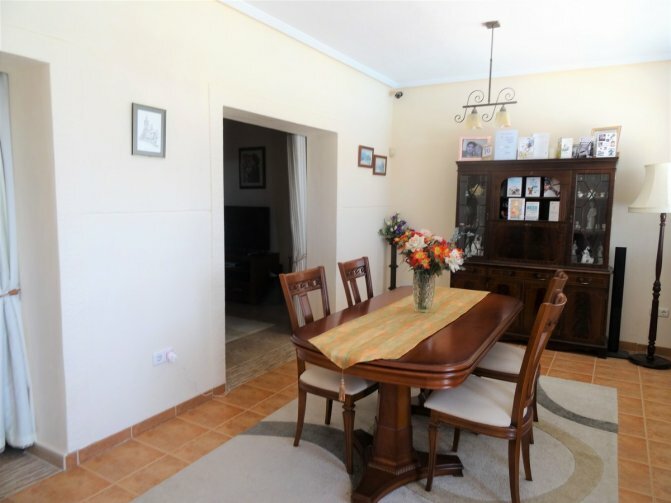 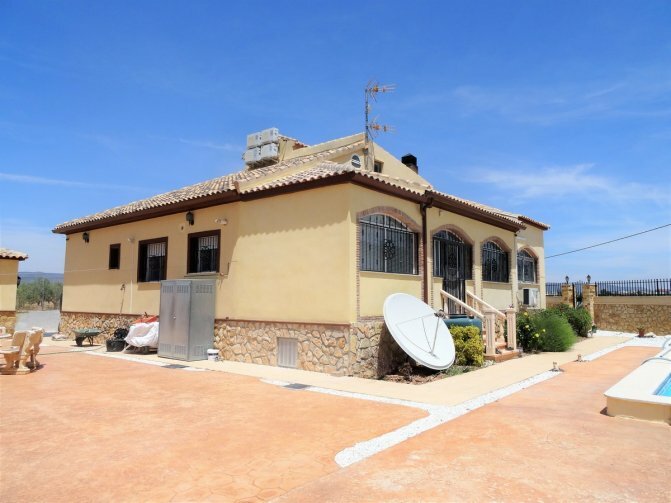 This beautiful and spacious detached villa is located within walking distance and just a few minutes by car from the prosperous town of Pinoso. 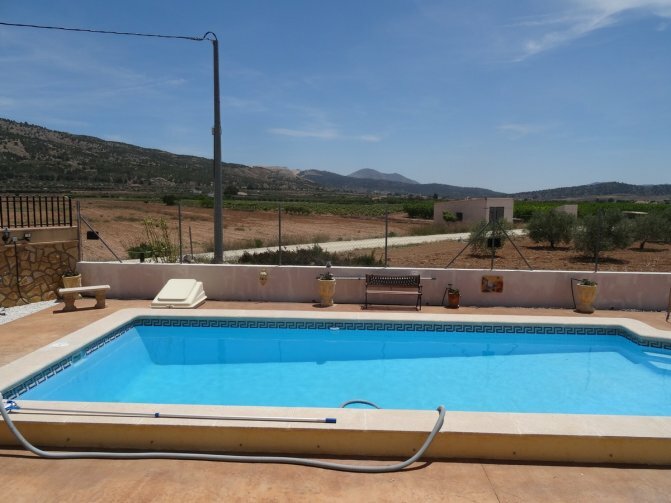 Alicante airport and beaches are 45 minutes away. 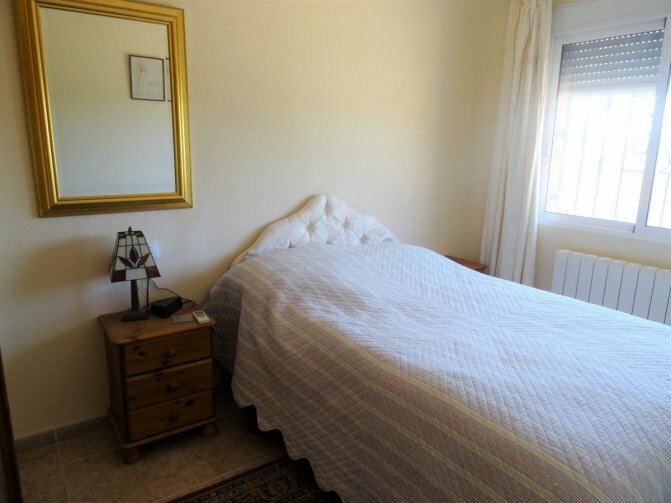 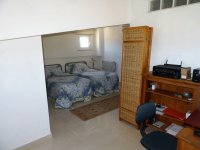 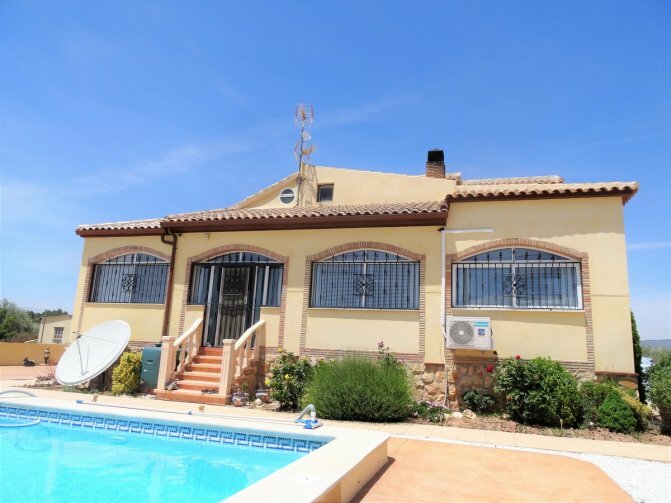 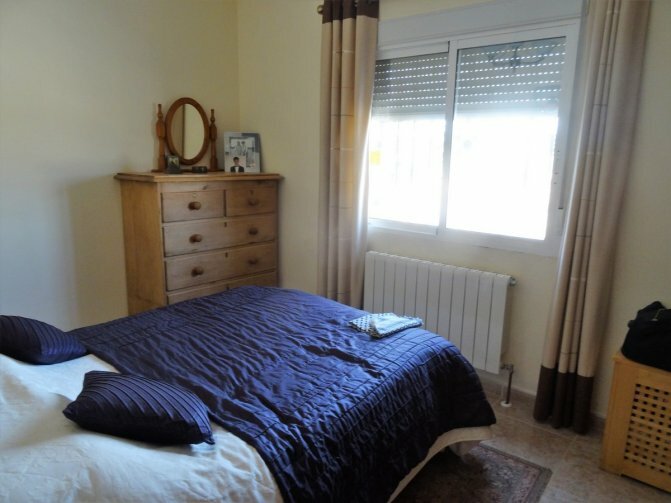 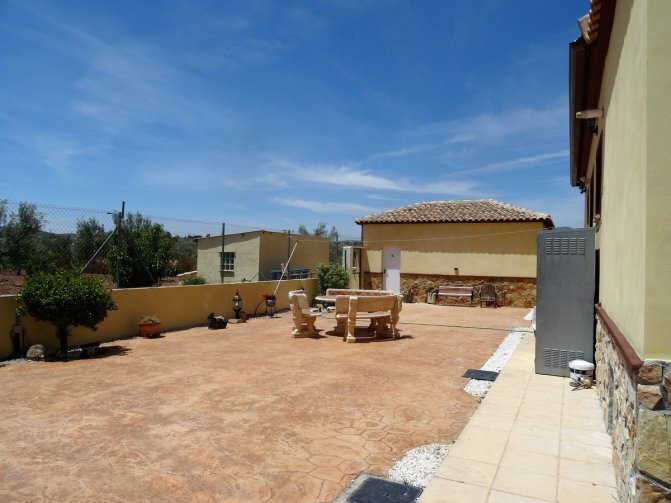 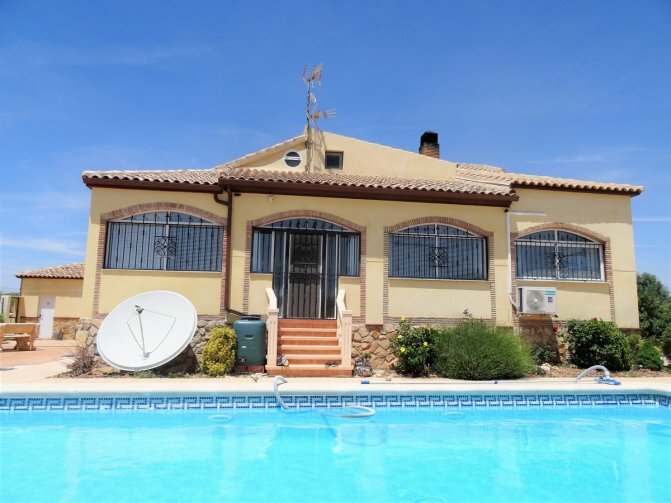 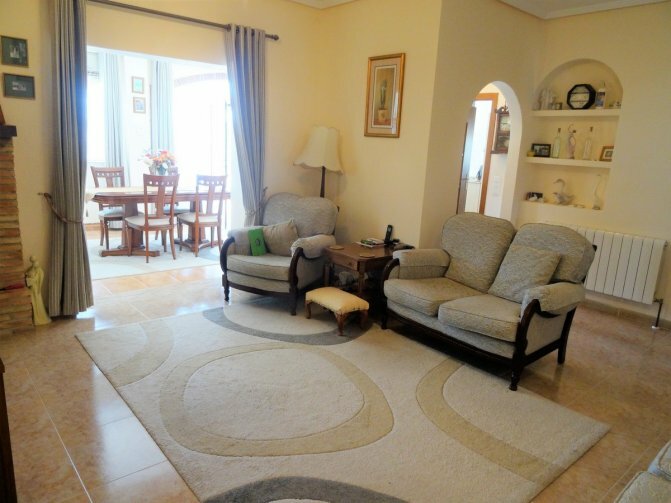 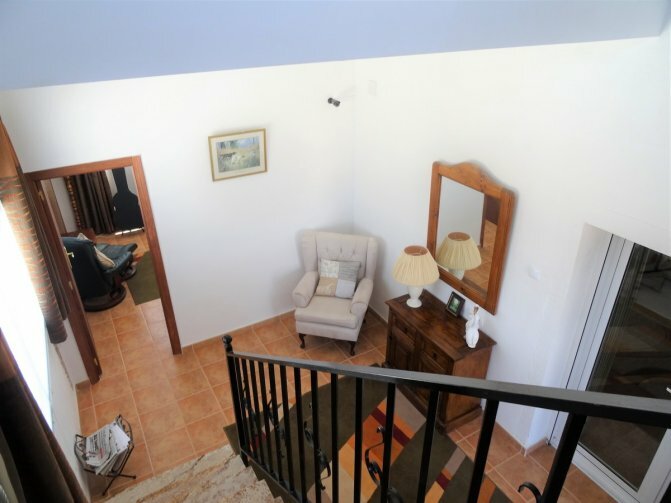 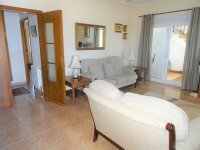 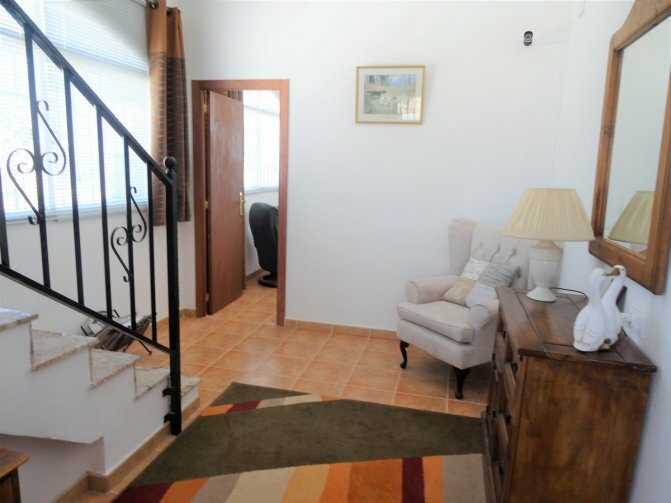 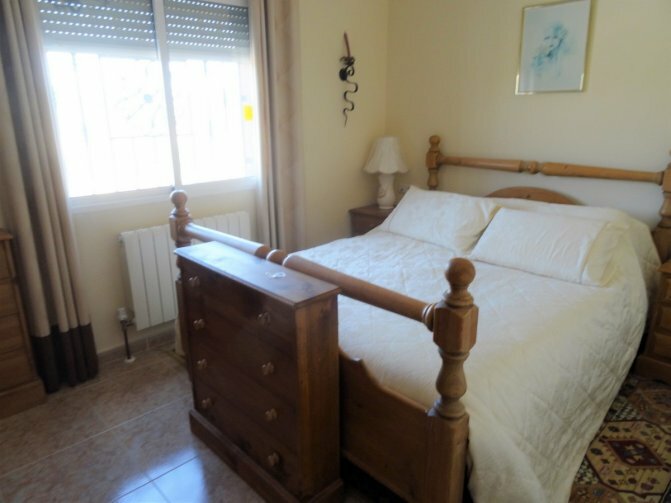 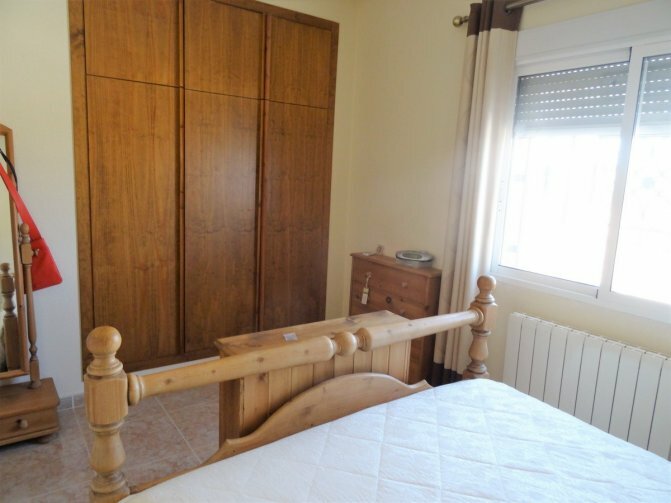 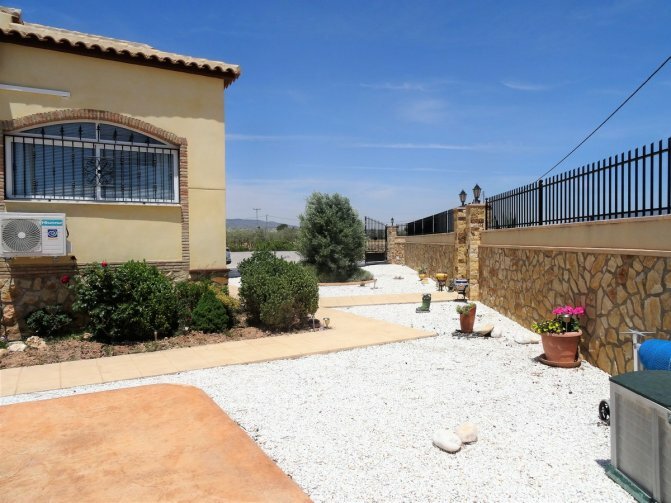 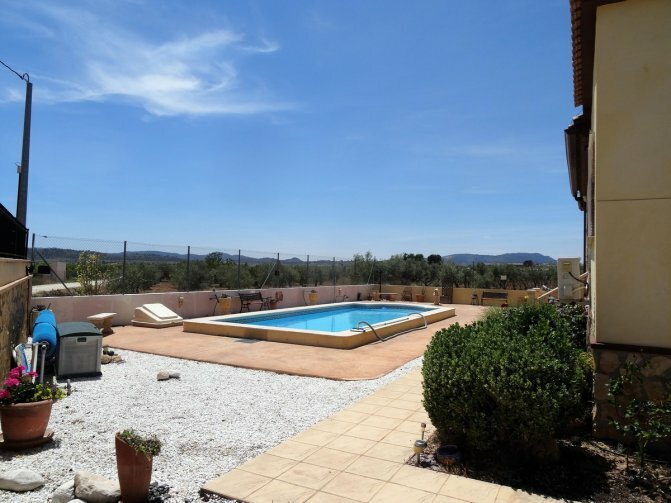 The villa has very good access and sits in mature, irrigated and landscaped garden grounds. 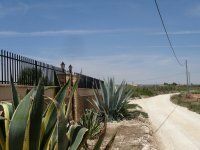 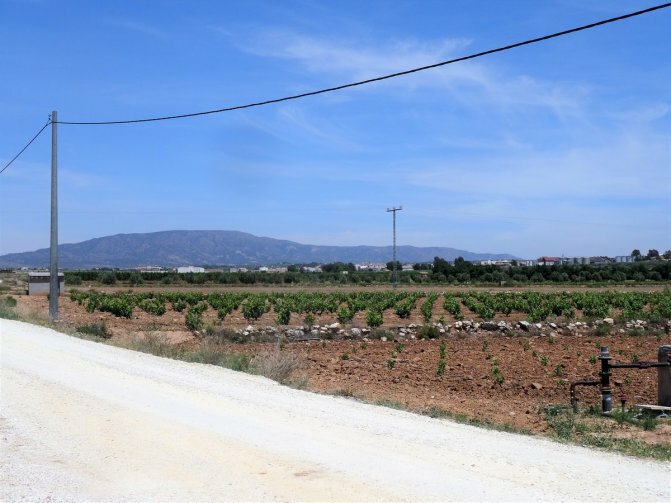 The fenced and gated plot has a 10 x 5 m swimming pool with sunbathing terrace, a fruit orchard, log and garden stores and a garage with electric door and a side door. 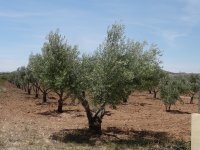 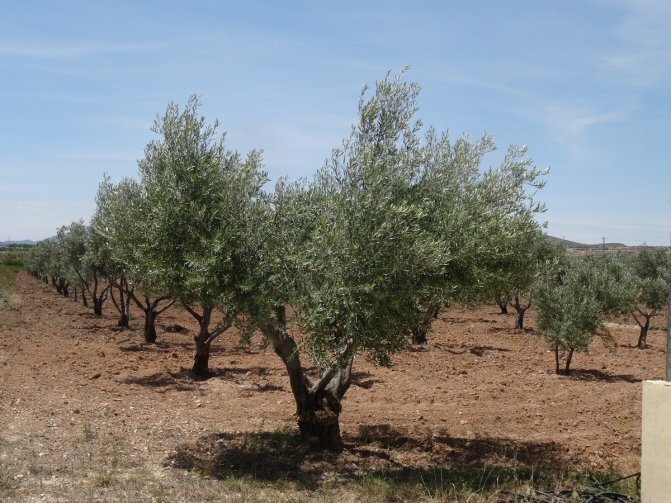 There is also an olive grove with 166 olive trees to the rear of the property. 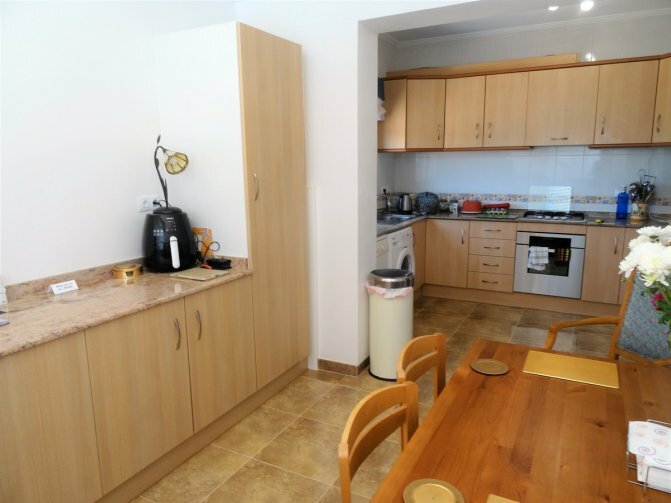 The villa has a lovely dining kitchen with fitted units and granite worktops. 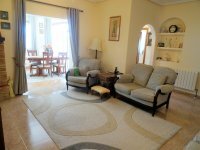 The lounge features a log burning fire and 2 double doors to the pool area and the dining room also has a door to the pool area. 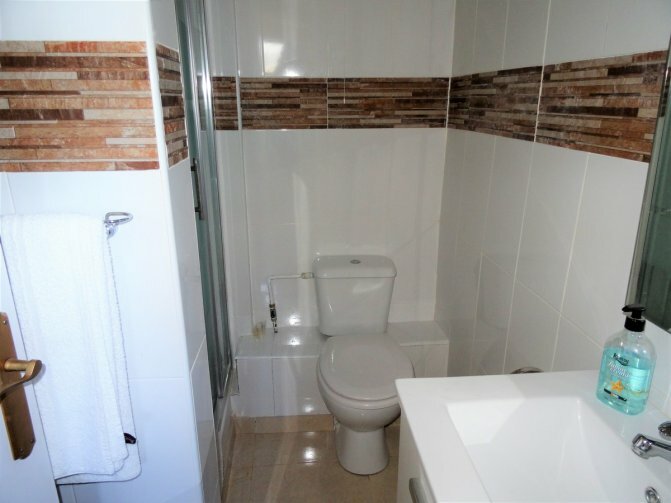 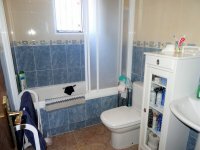 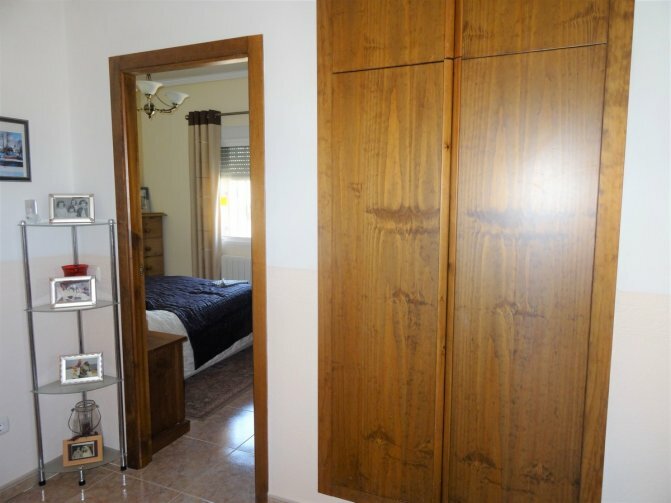 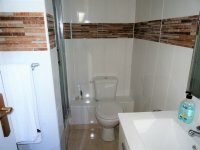 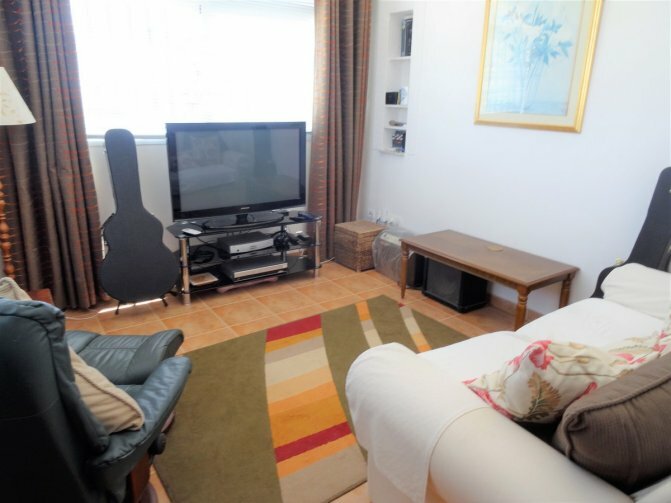 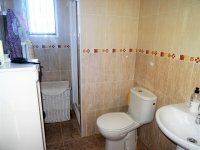 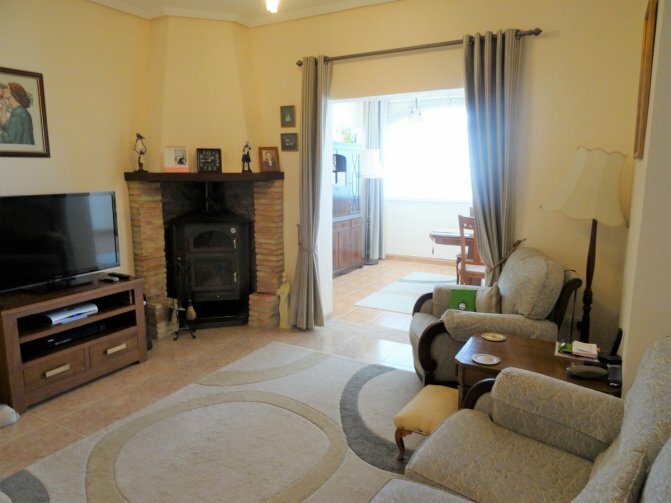 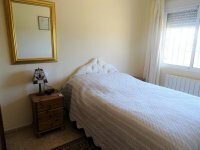 There are 4 double bedrooms on the ground floor, the master bedroom has an en-suite bathroom. There is a further family bathroom. 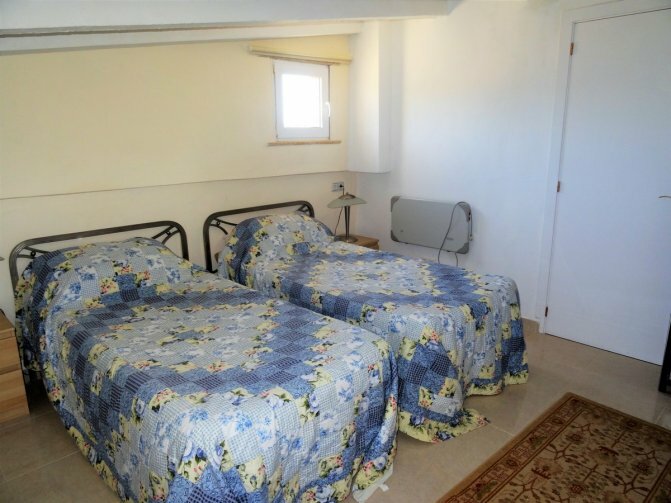 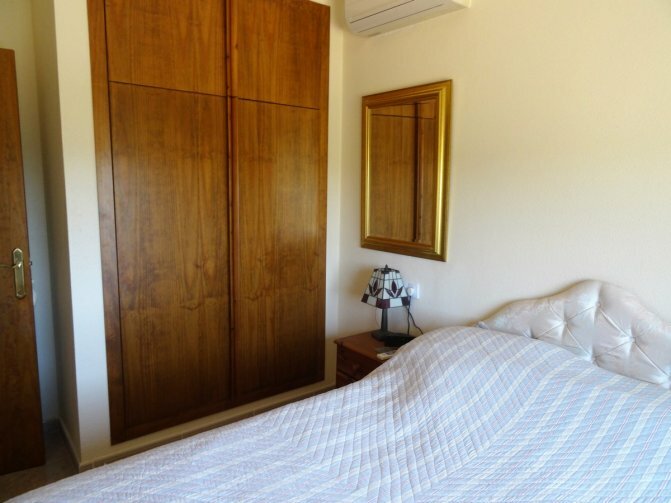 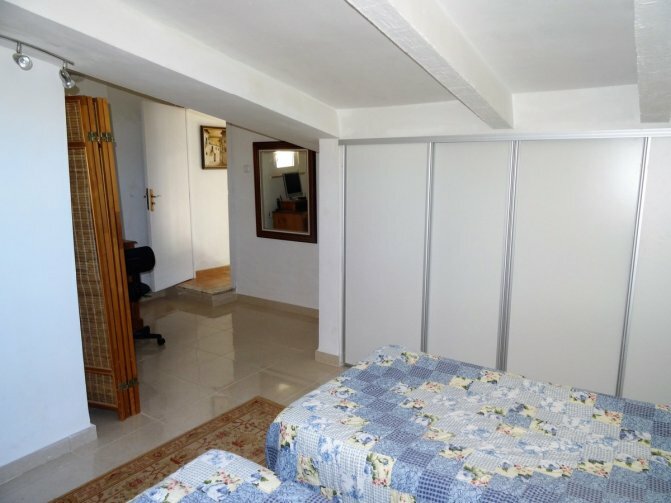 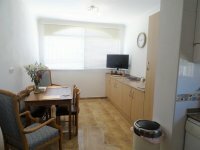 Upstairs there is a double bedroom with fitted robes, air conditioning and an en-suite bathroom. 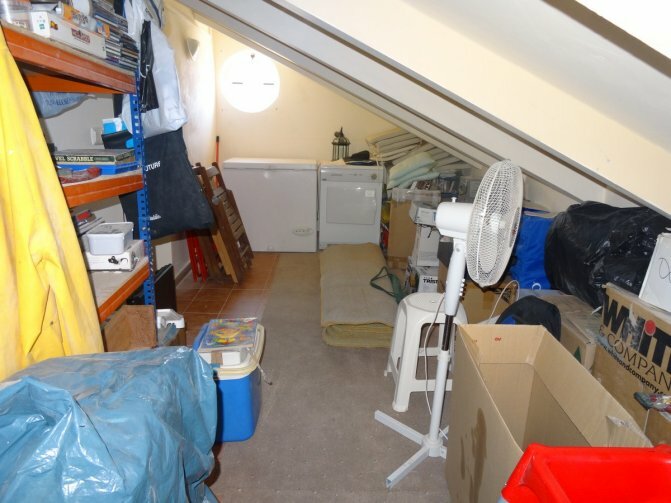 A door leads to a store room under the eaves.